Thanks to generous support from several key donors, the Friends of Slovakia is able to offer scholarships for Slovak students at the Fund for American Studies summer program. The program involves coursework, as well as an internship, giving participants practical work experience in an English-speaking environment. Slovak students who have participated in the past have found the program personally and professionally rewarding. Kamila Potočárová – My Washington Experience, as real as it gets. Every summer, Washington D.C. becomes a home for several thousand interns. This year it became my home too. For two months, I had a chance to be a part of a vibrant city in which even the most elemental discussions in coffee shops are dominated by politics. While attending the summer programme in International Political Economy and International Affairs provided by The Fund for American Studies (TFAS) at the George Mason University in the evenings, I was interning at the Embassy of the Slovak Republic to the USA. Despite this busy schedule, this short episode of my life has been the most energizing and rewarding experience so far. And none of this would be possible without the generous support of Friends of Slovakia to whom I am extremely grateful. Living in DC has been a phenomenal experience. Coming to the US for the first time, I have realised how much of my previous knowledge was only based on reading and watching TV or movies. Therefore, being there, gave me the opportunity to eliminate all the prejudices as well as to examine the political environment more closely. On a day to day basis, I have visited places that went down in history and attended numerous conferences and meetings. I have met with and learnt from high-ranking politicians, diplomats or government professionals who were willing to share their know-how. Moreover, traveling around Virginia and New York, allowed me to see more perspectives apart from the one in Washington. Combining an internship with university lectures, I have mastered my time management, discipline and diversified my set of skills with the top US and other international students. Our professor of US Foreign Policy posed very complex questions challenging the US strategies and decisions and pushed us to take a reasoned stand on them. Initially, I found it difficult as I have never been asked to think and take decisions (even the imaginary ones) on behalf of a nation that has a great deal of responsibility for the international community. However, over time I have learnt how to think more structurally developing standards for dealing with the contemporary issues in the US foreign policy, such as cybercrimes or Russian meddling in the US elections in 2016. 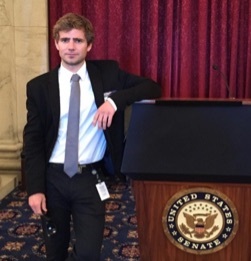 During the first month of my internship, I was captivated by the inexhaustible number of events and conferences that I could attend varying from the annual Transatlantic Security Conference organized by the EU Delegation to Congressional hearings in the US Capitol. Luckily, my internship gave me great flexibility in selecting the events so that they also match my interests. In exchange for that, I was expected to perform excellent work. And even though it was summertime, me and other interns never lacked work as there were three big summits over the course of two months that we had to cover. The high expectations constantly pushed us to meet higher standards. Internship and the networking experience become a stepping stone for opportunities for many of us. 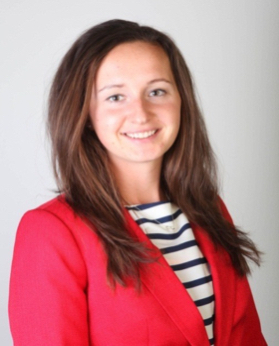 To wrap up, having the opportunity to live, study and work in D.C., surrounded by world-class professionals, top-institutions and highly motivated environment allowed me to expand my horizons and explore potential career opportunities. Only after two months in DC, I am leaving the city with great friendships that I hope to keep for the rest of my life and more confidence in my skills and abilities. 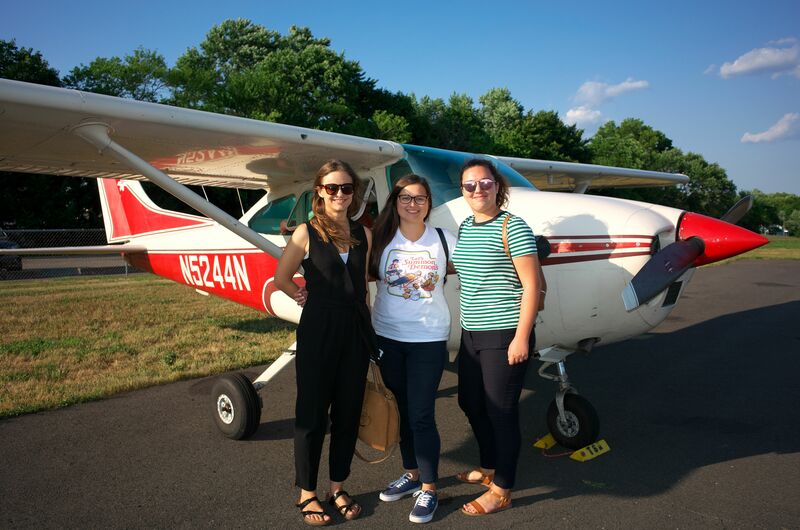 How did you find out about Friends of Slovakia and the DC Internship program? I was accepted to Columbia University in New York for a similar summer program. I was looking for some scholarship to cover the cost, when I found this program on saia.sk. It seemed to be more interesting than the one in New York, so I applied and I was accepted. What is your best memory from the program? When the CEO of my internship site retired during the week I arrived, I scheduled an appointment to meet him for 30 minutes on his last day in the office. The conversation took more than 2 hours. Next week we went out for dinner. He brought a book with personal letters from presidents from all around the world, including Vaclav Havel and Bill Clinton for me to see. It was really impressive. How did 8 weeks in DC change you? The program was very challenging. I mastered my time management skills and discipline. I have never thought that it is possible to achieve so many little accomplishments and attend so many meetings in one single day. I was also a part of exceptionally smart group of people from all around the world. Their ideas of the world and their thoughts changed the way I was thinking of my own life. I realized I am capable of achieving anything, as long as I put hard work, discipline and passion into it. Well, not just me, anybody who is willing to do that. My mentor Katherine, who has a degree from Harvard in economics, also taught me many valuable lessons. What are you doing now and what are your career goals to the future? I am still at Northeastern University in Oklahoma, where I am involved in the tennis team and Entrepreneurship club. I will graduate in December 2015, and after that I will be moving to either San Francisco or New York to work for a little bit and then I will pursue my master’s degree, hopefully in London. After I gain enough experience from abroad, I would like to come back home to Slovakia. I can see a lot of work that needs to be done in politics as well as in business, which I would like to do. We need more innovative, open minded people who have a vision for the change. My dream is to be become one of them. I also want build an innovative and green business, which will add value to the society. On a scale of 1 to 5 with 5 being the most positive, what recommendation would you give? This opportunity opened more doors than I have ever imagined! It was challenging, exciting, it topped my expectations, and helped me move to a whole new level. I am very grateful to Slovak American Foundation and Friends of Slovakia, because this world class experience would not be possible without the scholarship from them. The program truly deserves the highest grade 5. 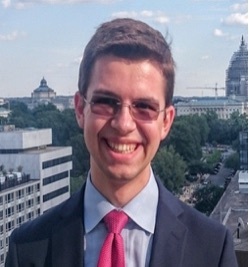 Spending as much time online as I do, I found out about the DC Internship program and the scholarship Friends of Slovakia provides successful applicants with from an alumni’s blog, where he detailed his experiences from a previous year of the program. Although I can hardly name a single best memory, I will definitely not let myself forget all those late evenings and nights when I gave up sleep to spend time with the extraordinarily bright fellow students. I realized there was an abundance of important questions I have not asked myself about where I am going and how I can utilize my passions and abilities to achieve my goals. This would hardly have been possible without the stimulating and exciting environment this program creates. With more unknown variables and questions, but also with more direction and determination, I am continuing my studies at my home university. Ultimately I am aiming to help those around me by utilizing my broad range of skills and knowledge in the fields of business and public policy. Give careful consideration into whether you have a passion for politics and economics. If you do, this is one of the very best ways you can spend eight weeks of your life. Five and beyond! I found out about the program by word of mouth, from a former The Fund of American Studies alumni and Friends of Slovakia beneficiary. The best memory from the program was for me the diversity of the people I met – fellow scholars as well as fellow interns, with whom we pooled our summer experiences to everyone’s advantage. The 8 weeks in Washington helped me learn a lot about international affairs from a new perspective, economics and the mechanics of Washington. It also taught me valuable lessons about the importance of freedom and free trade for the future and betterment of the world. Last but not least, living, learning and interning in Washington helped me realign my values and goals. What are you doing now and what are your career goals for the future? Currently I am focused on finishing my Master studies and digesting my summer experiences in order to determine my priorities and lay out a plan for my immediate, as well as the more distant future. As long as the prospective candidate realizes that the Fund for American Studies is a demanding, intensive study program that advances the ideas of freedom in all aspects of national and international relations – definitely 5/5.